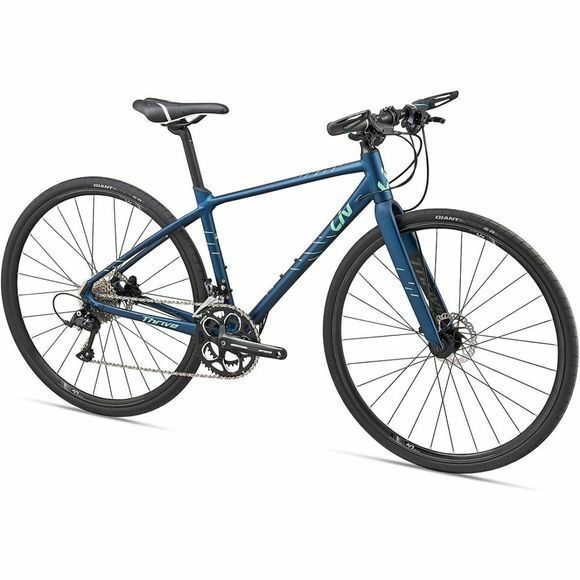 Whether you're looking for a fitness bike or commute bike the Women's Thrive 2 2019 from LIV offers speed, comfort and control for every ride. 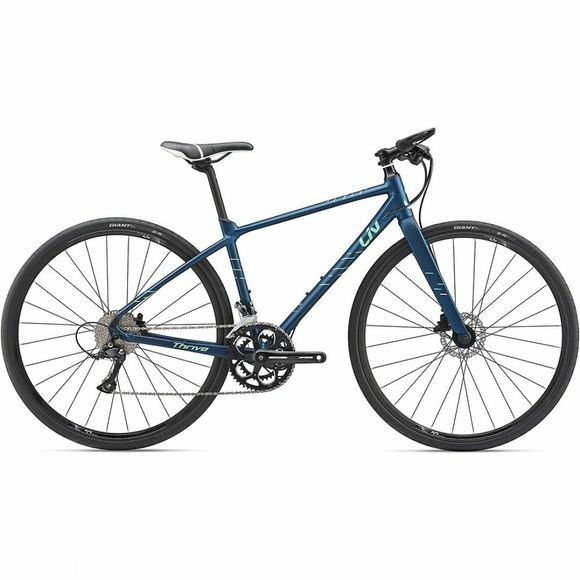 This hybrid bike has the speed and agility of a road bike and the flat-bar and upright riding position of a more comfortable urban bike. The women’s-specific frame's design focuses on fit, form and function and the lightweight ALUXX aluminium material creates a quick, agile feel. The frame also features unique internal cable ports for sleek, non-cluttered appearance and performance. The Thrive's toptube slopes downward from the headtube to the seattube allowing for a lighter, stiffer bike. The proprietary “D” shaped composite seatpost dampens vibration creating a more smooth and compliant ride without compromising efficiency. Complete with the Shimano Sora's fast, reliable shifting and Tektro brakes, this lightweight build is designed for comfort and finesse. From short daily spins to longer road rides, the LIV Women's Thrive 2 2019 is a fast, fun and confident fitness bike.